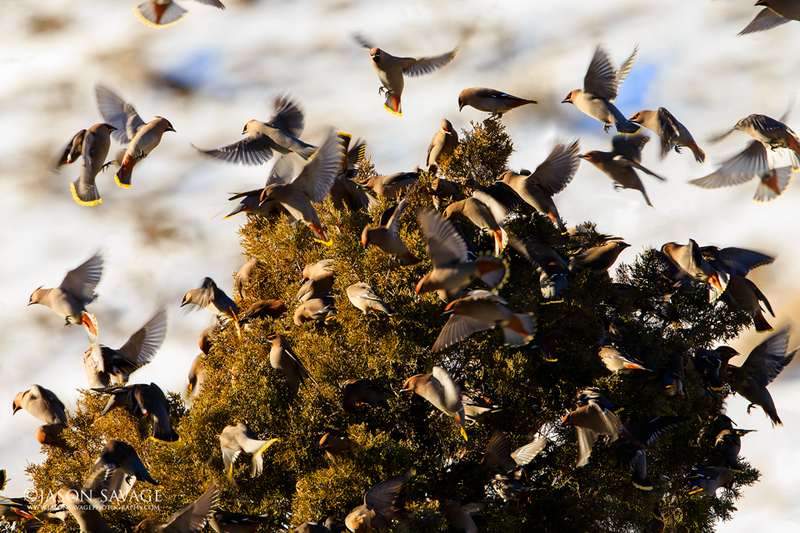 Last week there were thousands of Bohemian Waxwings putting on quite a show along the Gardner River in Yellowstone National Park. Here I’ve used a 2X on my 500mm giving me a 1000mm of reach to crop in on a few that were landing on a juniper bush. I’ve also used a little slower shutter speed to show some movement in their wings.